You'll need comfortable college furniture on hand when you get a break from classes and homework and want to relax in your dorm room. And when it comes to comfortable dorm seating it doesn't get much better than our one-of-a-kind Fur Moon Chair - Polar White. 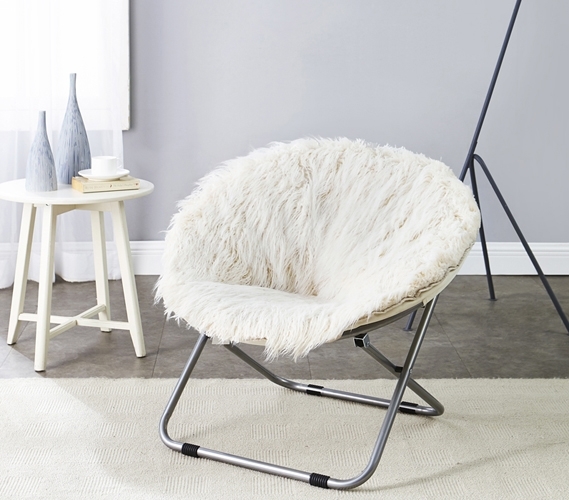 This unique college chair has the comfort you need to take it easy in your dorm room. Cushioned with a woolen plush pad and extra ivory white fur, this cozy dorm chair will be one of your favorite pieces of college furniture. Besides being amazingly comfortable this unique dorm room chair will also make a statement in the design of your dorm room. 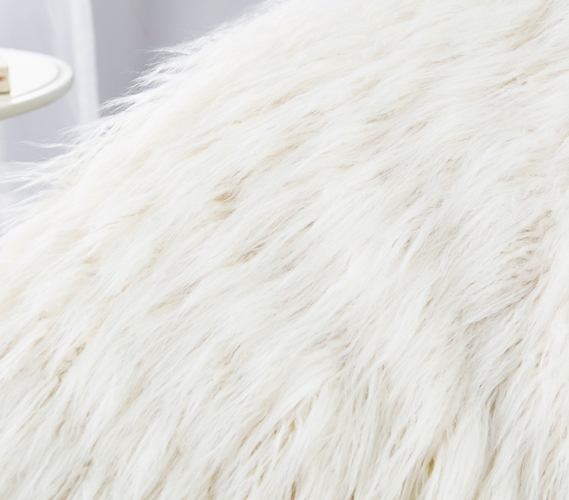 Of course, the furry material on this ivory white college chair make this stylish piece of dorm furniture a major part of your college decor. But to add to that, this ivory white dorm chair is also the perfect color to match anything in your dorm room, including your Twin XL comforter. And since dorm room space is so limited, this unique dorm furniture item easily folds up so it can be stored away in your dorm room closet. With such a unique look and comfortable feel, this must have college chair is definitely a dorm room essential! Note: Recommended weight limit for this chair is up to 250 lbs, with an impact weight of 220 lbs. Furry Moon Chair almost in Person!